Editor's note: This is a guest post by Niclas Jeppsson, who runs the blog Your Audio Solutions. 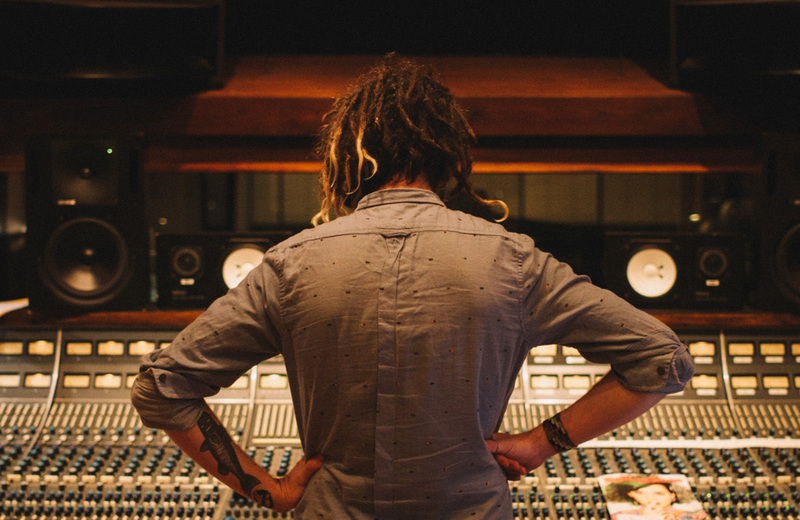 You can find more interviews with producers and engineers like Andrew Scheps, Vance Powell, and Michael Brauer—and download Jeppsson's free guide, How To Find Work And Become A Freelance Sound Engineer—here. 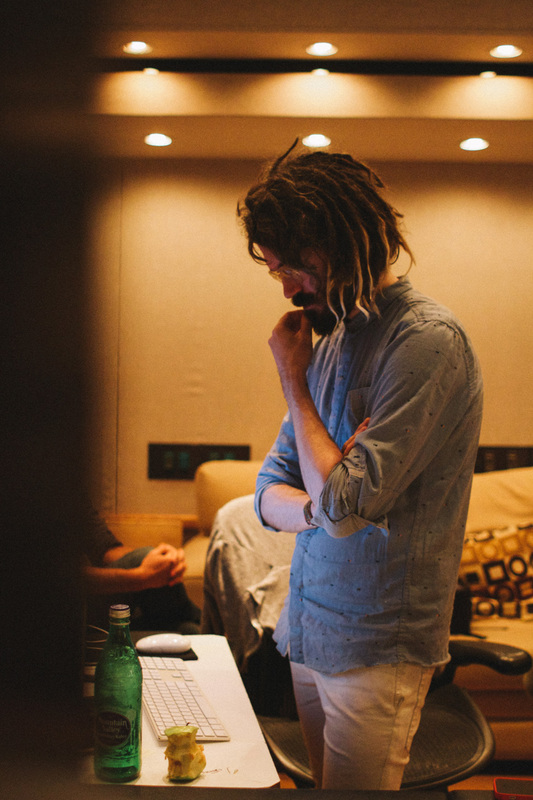 Shawn Everett is a Grammy- and Juno-winning producer, engineer, and mixer who has worked on albums such as Alabama Shakes' Sound & Color, The War on Drugs' A Deeper Understanding, and Kacey Musgraves' latest record, Golden Hour, which won Album of the Year at this year's Grammy Awards. Shawn has been named "indie rock's new go-to sound engineer" by Pitchfork, and he is known for a willingness to experiment, whether during recording or while mixing. The sessions for Color & Sound, a watershed moment in his and the Alabama Shakes' career, were full of creative techniques. (Reverb's written before about how Everett and singer Brittany Howard reverse-wired a pair of headphones as a vocal mic for one of the album's tracks.) Below, you can read about a recent session where Everett recorded a band with Motown-era techniques, pressed the vinyl, and then sampled their own recordings—all because he wanted the sound of a sampled soul record. In our interview, Everett explains more of his experimental approach, like why working within a certain limitation can be beneficial, or how saying yes to things you don't know how to do yet can yield fascinating results. He also talks about some of his early struggles, as well as some of the enduring inspiration he finds in Bob Clearmountain's mixes. Keep reading to learn more. You have worked with the most amazing artists and producers, won Grammys and Juno awards, but I guess it didn't start out that way. What were some of your early struggles trying to break into the industry? It's been such a long and epic journey, and there have been countless struggles along the way. I've been working in studios pretty much non-stop since I was 16—14 hours a day, seven days a week—and very slowly, over time, it got to the point where I was working with bigger artists. My biggest struggle has been internal, because I'm competing with myself and comparing my work with records that I love. For example, I remember when I first started recording that I really wanted to make it sound professional, and it's something that has been in my head forever. How does something sound professional to you? In the '90s when I first started, there was no GarageBand. Instead, I had this little Roland machine and it was very difficult to get the recordings sounding professional. I remember there was a great mystery hearing a Radiohead record and not understanding how they did things and trying to emulate it on my Roland machine. It's been a lifelong hunt figuring out what they were doing. You like to throw obstructions on yourself when working, because you might end up with something unique. Could you tell us more about this and what unique things you have discovered? I like locking myself into certain constraints, because you can get into some really cool magic when you are working with some kind of handcuffs on. For example, I recently made this old R&B/soul record, and I was very inspired by Kanye West's recent work and how the album with Pusha-T [Daytona] sounded. It reminded me of his beats from the '90s with this old-school vinyl and cut-up sound, which I have always liked. So, when I started working on this new project, I wanted to get a sound like that, and part of what makes that old R&B sound is the tonality of it. For example, if you recorded some Motown in a modern way it might not have the same vibe as those old recordings, so we recorded it full-on old-school style, with only a couple of microphones, and used those old records as a template. The recordings never touched anything digital. Instead, I mixed the multitrack down to stems, on tape, and brought those to a mastering plant and made vinyl out of them. We then ended up with these separate vinyl with just the drum stem, bass stem, etc., and from there we tried to make a modern record by sampling from our own vinyl. I didn't even take the tape copies that we had transferred to hard drives, because I didn't want the ability to ever open them up again. I never wanted to have a kick drum or snare drum track, because if I did, I might open them up and change the tone of them. Some people were saying, "Why don't you just add vinyl noise to the recording?" However, since it had been baked into a vinyl, it had a very specific tone and was very special-sounding. Also, it's not only vinyl noise, it's the whole constraint factor—and it does sound different too. What inspires you to come up with all this? Strangely, I've never been obsessed with recording equipment or microphones. The thing that always got me excited, and the reason I got into recording, was listening to artists like Radiohead and Björk, and part of what unified those records was that they were fun and experimental. Also, hearing the Tom Waits records that were coming out in the late '90s sounded so cool, experimental, and different. 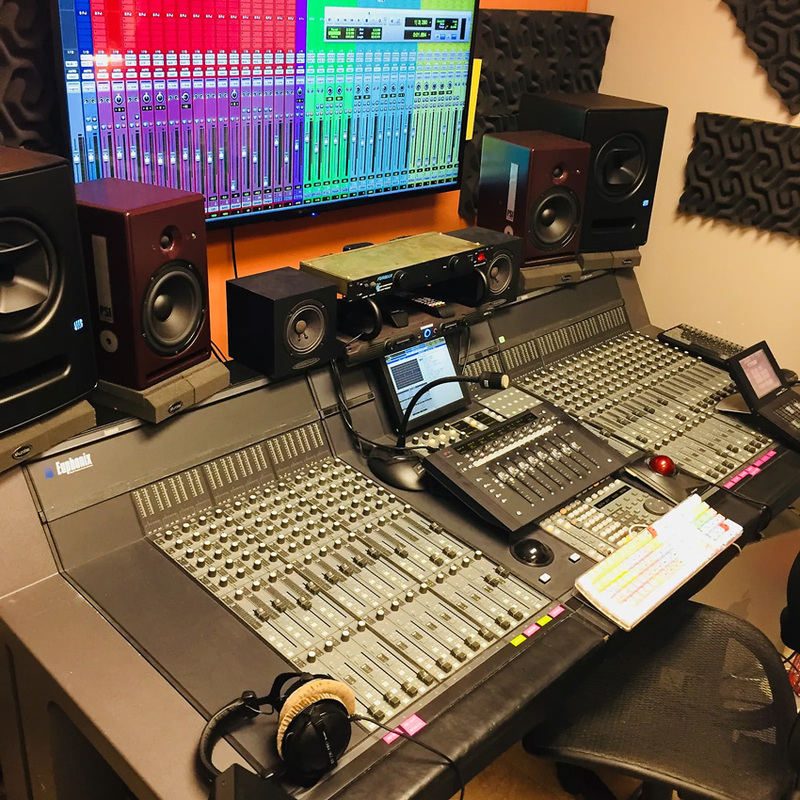 They were using the recording studio as a tool for creativity, and I really wanted to learn that and use the studio creatively. If I'm not experimenting during a day in the studio, I feel like I'm not really enjoying myself. I really get excited thinking of weird things and techniques that I have never tried before, just because it leads to different results. I love records that sound very unusual, fun, and creative. Do you have a specific routine you follow before going into a recording or mix session, so you can do your best work? I don't have a routine before I start something—I usually just dig into it. However, if I'm struggling to understand the intent the artist is trying to get across, often times I will ask them for a picture or, which I have done lately, ask them for a scene in a film that their song might score well to. For example, if they tell me a scene that they think their song is a good soundtrack for, I can import that scene into Pro Tools and leave it running while mixing. Slowly that starts to inform me about the mix and it really helps me understand the vibe of the song. It's a fun technique and it really helps me a lot actually. When you worked on A Deeper Understanding by The War On Drugs, you said that you kept comparing your mixes to Bob Clearmountain's mixes. What was so special about those mixes, and what specific element were you comparing your mixes to? The power of it, for example, on a song like "Born To Run," if you pay attention to the recording it's very monolithic and huge sounding. He really did a good job making it feel like America. It sounds so perfect but also a bit scrappy, and you can hear it's not perfectly on time, because it's humans playing, but no one cared at that time. Also, the drum tones were really interesting—very natural and not overused with non-linear reverb. Almost like taking some aspects of a Phil Spector production with its hugeness but containing it in a way to fit the vibe of the '80s. This really inspired us, not '80s tone per se, but to make a big, exciting, and powerful rock album. I think Bob Clearmountain was a true master of that, which is why he was one of the world's first superstar mixers. Bob's work on albums such as Roxy Music's Avalon, is also really beautifully made, like a great cook made it for you. You do a lot of work with the producer Blake Mills. How did you guys meet? When I first moved to Los Angeles I didn't know anyone except the producer Eric Valentine, who, in turn, hooked me up with the producer Tony Berg. Tony introduced me to the whole music scene in Los Angeles and basically gave me a career. Tony also introduced me to this band called Simon Dawes, which eventually would become Dawes, whose guitar player was Blake Mills. It was only my second or third day in LA and they hadn't released anything yet—however, Tony really believed in Blake and in the whole band. Blake was really special because he was an amazing guitar player, even at that age, and was known around town as being this young savant/child prodigy. I think Tony tried to keep him as a secret session guitar player that he could use on his recordings. Since I was there engineering every day, I kept working with him daily for years. Like with you and Blake, how important is it to find someone to have that collaborative relationship with? I think collaboration is extremely useful, and I think it's the best way to yield great results. I feel when I'm working alone and have no one to work against it's really hard. You can really learn so much working with other people, and if it's someone who is such a true genius at his instrument, like Blake, whose understanding of guitar is almost unparalleled, you learn so much. How was that initial period when you got to LA, was it hard to get settled or you got straight into work? I moved here quite recklessly—I was in my early twenties and it's something later in life I wouldn't have had the balls to do. I moved here hoping I would find a path and I had one contact, Eric Valentine, who I had met through a mutual friend who knew that Eric was into experimentation and processes in the studio. He said if I'm ever in LA, Eric might be someone I could get along with. When I got to LA I contacted him, asking if there was any way I could meet him and be his runner. He didn't need anybody, but he had this friend Tony Berg and asked him if this kid could come over. Tony was actually starting a record that next day and hadn't hired an engineer, so I was there at the perfect day. Luckily, Tony was very intertwined in the Los Angeles recording community and knew everybody. Everyday, people were dropping by, so if there was a place to start, this was definitely the place. It's also down to you taking chances, because without that you might still have been in Canada. I could have stayed in Canada, but there's a ceiling as to how far you can get in certain places. I don't believe it's impossible, but it's way harder if you are in a city that doesn't have a strong music community. And LA is one of the world's centers for music with huge bands and artists. I was very lucky, but I had the intent to learn, and I'm a really hard worker and internally competitive, so if you combine that with luck there's a chance you might make it. There are a lot of people out there who are struggling to get into the music business. What would you advice be to them? Move to Los Angeles and take a chance? I would never recommend anyone moving to LA, because there are so many people where the stars don't line up. However, I would never say that you should not do something just because of the fear factor involved. The only way you will reach your dream is if you actually do it. I think you have to know that you have the internal drive and the ability that you can do it. If you don't have that feeling inside that you will burn down buildings to get what you want, then I wouldn't recommend making a decision like that, but if you do, go for it. How important would you say patience is in this business? It took me 20 years to get to work on the albums I get to work on. Some people want things right away, but there is no right away, it's a struggle and it's a very long road. Sometimes it's almost impossible for me to understand how long the road has been to get to this point. Somebody is not just randomly letting me work on these albums—it's because I haven't stopped doing this. There's no YouTube video that will show you how to do it. You have to be faced with countless situations of problems and frustrations and every time you are faced with a new problem you don't know how to solve, that's when you learn and come up with different solutions. If you compound years and years of that, you will start to have a bigger toolbox, and that's when people will start hiring you more often. You have more answers to problems that people are encountering, and that's when you start running. If I gave you $1 million for you to train me to make great sounding records in four weeks, what would you teach me? I would bury you in a deeply difficult situation, find the most difficult artist for you to work with, and I would create a very ornately difficult procedure where it would almost be impossible to record. I would also give you a lot of albums that you had to listen to as references and try to make it sound as cool as them. I think the way to learn is to be in the deep-end, brutally, and any time I learned anything was when I was in a situation that was way beyond my means. To be almost over your head to a degree where you feel like you are suffocating, helpless, barely hanging on, feeling that you were an imposter and that somebody would find out that you didn't know what you were doing, is horrible. You are lost like you are drowning in an ocean. It's almost mean for people to experience that sort of hell. However, if somebody really wanted to learn, then I would suggest doing something really difficult like that. Thinking back on it now, those times made me cringe and it feels awful thinking about it because it's almost nasty. Could you give us some examples of when you experienced something like that? I used to work at this amazing facility up in the mountains in Canada called the Banff Centre. I had just started and they had this Euphonix CS3000 console, which was pretty complicated, and I had no idea how to use the automation system on it. CBC in Canada was there to mix a stop-motion film, and the guy who was supposed to mix it didn't know how to use the automation system either. He was put into the room to deal with these people from the network, and when I was walking through the hallway he called me and said, "Hey, do you know how to use the automation system on the Euphonix?" And, for some reason, I have always said yes to things I don't know how to do. For example, as a kid when I was in the swimming pool, someone who was supposed to look after us asked if I knew how to swim. I couldn't, but I said yes, and I almost drowned and died. I don't know why I said yes to things—I was just convinced I can do it. Going back to the studio, I said yes to the guy, even though I had never mixed a movie and had no idea of how to use the console. However, I saw the manual for the Euphonix in the bookshelf and snuck it out before they could see me and said I had to go to the restroom before we started. I read the manual as fast as I could to get an idea of how to start the automation system. I got a few buttons down of how to start it and walked back to the room and started doing it. I tricked them by pretending I knew I was doing, but I had no idea, I was figuring it out the entire time. If they asked a question I just made up an answer. Also, I don't remember exactly, but there was like a bug on the Euphonix where if you got to like automation move 10,000, it hit a point where it was too much and the computer freaked out and lost all of the automation moves. Somehow I hit that marker, where I had done too many automation moves, and it deleted all of them. I had to lie my way out of that one too and said, "Let's cut, I think I'm good for today." Then I had to redo everything all night long. These are situations where I felt hopeless and like I was drowning, but from that experience, I learned how to use the automation system. Do you have a favourite failure that set you up for later success? When I was about 18 I got to work with a famous Canadian singer who was in a band called The Moffatts. They had moved to my town and it was the first time I had met anyone who had had any success in the music industry, and I ended starting a project with him. The project was by all definitions a failure, and we got no momentum going at all, because his fanbase was young teens that loved boy bands, but we were making weird music they didn't like. However, working with this guy who had a lot of success, and Bob Rock had produced his last record, I felt like I had to step up my game really hard, and I did. The project didn't go anywhere but I learned a lot from it.